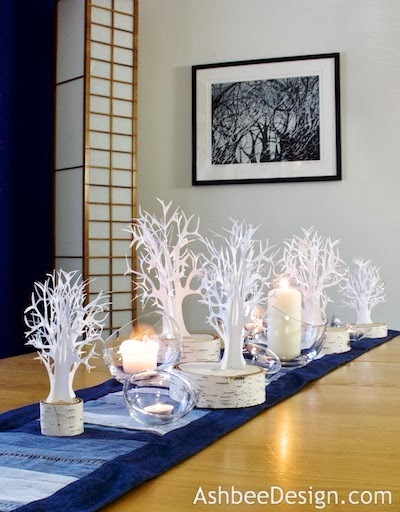 Time for a winter centerpiece. So often our seasonal decor gets wrapped up in holiday themes. I like to do some creating without a holiday in mind. 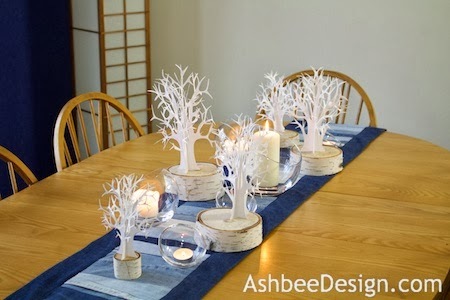 This tablescape is my approach to a winter theme without the influence of holidays, only nature. 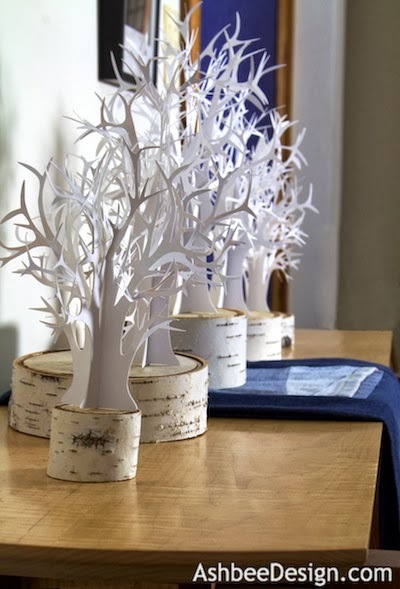 You can see I have incorporated several of my recurring themes here - trees, birch, paper, denim. 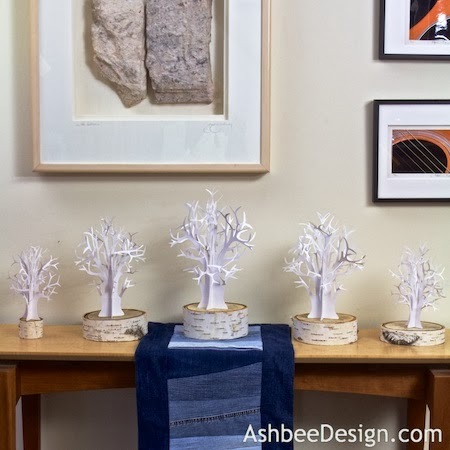 The trees are made from plain white index card stock using the Silhouette pattern I created for Ledge Village. The pattern is available for download here. 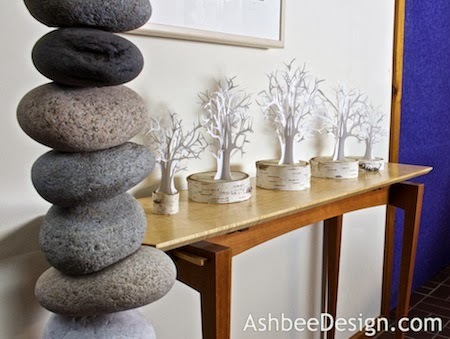 I made four cuttings for each tree, in five different sizes to create my table forest. 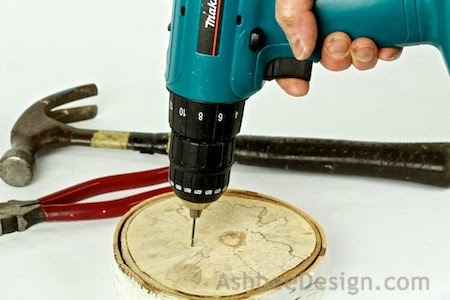 Each was then attached to a birch sliced base. And the five of them were arranged on top of my scrap jeans table runner and combined with white candles in clear glass containers. The forest takes on a different aura when seen in candlelight. What I hadn't planned for but was pleased to discover is how well the trees work with the art on the dining area wall. The trees reflect the patterns in the woodcut - My Happy Place- and Then It Snowed by Lynita Shimizu. I also experimented with a tree arrangement on the console table. 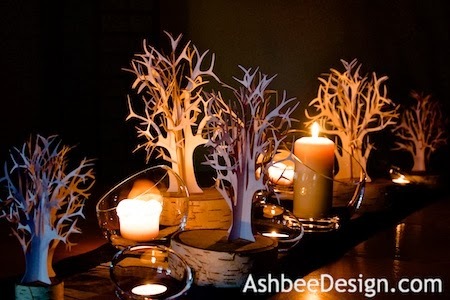 The assembly instructions for these trees are located here on my Ashbee Design Silhouette Tutorial blog. 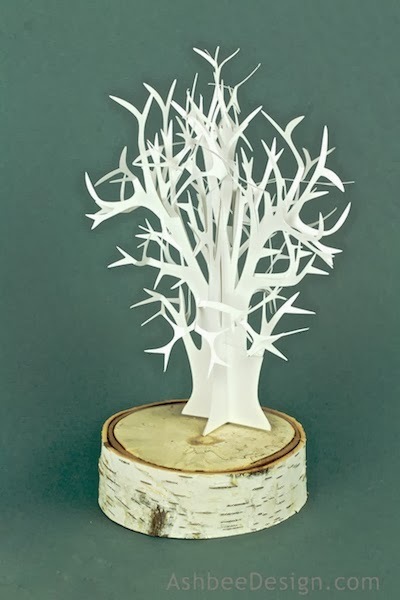 Start with those and use the steps for creating the 3D tree for free-standing applications. 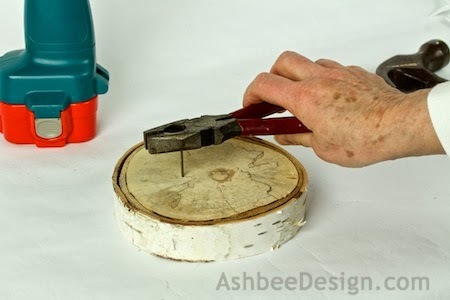 Once your trees are glued together make the bases. The trees tend to blow over if not attached to a weighted base. I cut some slices off a birch log. Pounded in a small finish nail and clipped the head. 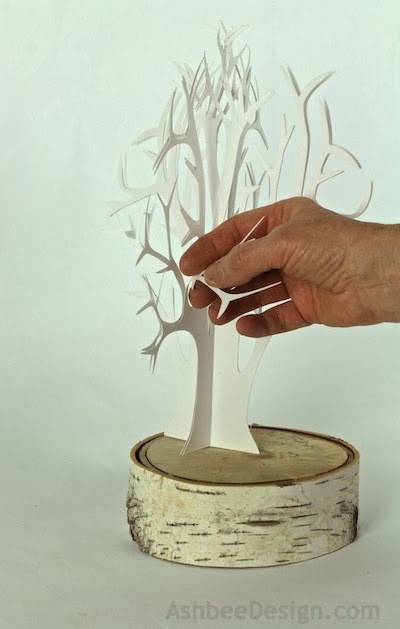 I then slide the nail up through the center of the 4 paper trees. Fill out the crown of the tree by bending the matching branches in opposite directions. Make a grouping and experiment with arrangements. These are beautiful! 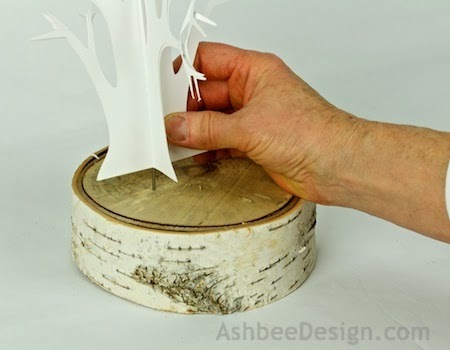 I just found you on pinterest from another piece of birch tree art you created. You are very talented! I will be featuring you in post all about "Birch" this week! (of course linking to your exact posts). 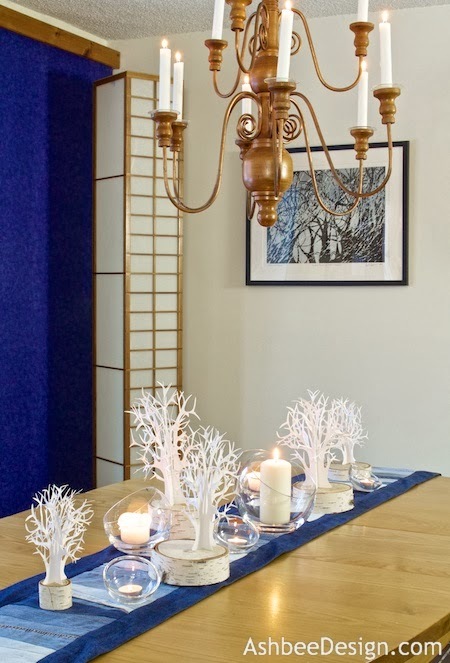 I love this tablescape, it reminds me of a set up Crabtree and Evelyn did at Christmas a few years ago!